It snowed again last week, some flurries again last night. And more snow expected this week. So I could resist sharing something spring like. 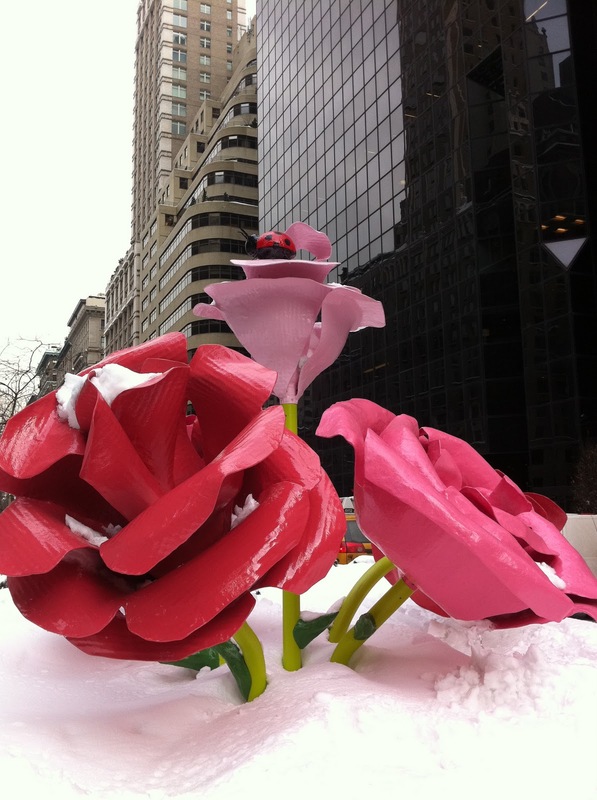 These are part of “The Roses” display on Park avenue that just went up last week. The 38 massive flowers were designed by Will Ryman, who focuses on dramatic depictions of the otherwise mundane things in life. It was just the taste of spring I needed! I’m sure there will be more pictures of this to come, there are 10 blocks of sculptures! And they will probably be buried after the next storm! Saw our first daffodils already this past weeekend on a roundabout…and we've spotted multiple spiders in the house. The spider seems have replaced the robin as our first signs of spring!